Experts expect the nursing field to grow faster than average over the next decade, but there are also many new nurses seeking employment. As you begin searching for a job, you should look for ways to stand out from jobseekers with similar backgrounds. 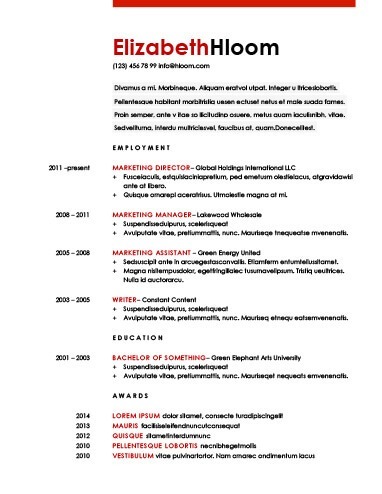 An informative and organized resume can help you make a great first impression. We provide a variety of new nurse resume templates ranging from basic resume formats to more contemporary, elegant, or stylish options. Choose the style that best fits your personality and the position you are seeking. We also include guidelines for resume writing so that you can produce a polished professional document to provide prospective employers with everything they need to know and present yourself as a qualified candidate. Why Use New Nurse Resume Templates? Start by considering several different template styles to find one that enables you to present yourself in the best light. Medical employers often appreciate when applicants keep their resumes organized and easy to skim. These simple and clean templates make it easy for you to communicate your skills and training without distracting readers with unnecessary details or stylistic elements. If you care about getting the point across as quickly as possible, these new nurse resume templates could be the right choice. 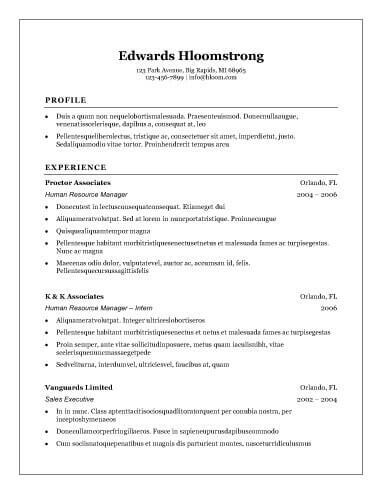 Some resume templates are popular for good reason. These templates are usually well-designed and organized and stand out in terms of professional presentation. While some of these layouts may assume you want to include work history, you can always put on-the-job practice or extracurricular leadership roles in these sections. Find ways to make the top new nurse resume templates work for you. Entry level resume templates can be ideal for new nurses. These designs allow you to emphasize parts of your experience other than work experience. You can make sure that all of the important aspects of your education, including any areas of specialization or practice in providing nursing care, are immediately evident to employers reviewing your resume. Another style of new nurse resume templates that you might want consider are functional resumes. This method of organization focuses on emphasizing your skills and qualifications for a specific position rather than your lack of past work experience. If you are new to the nursing field and do not have much related work history, you might want to explore functional resume templates. Combination or hybrid resume templates are useful for applicants who would like to feature some work history, even if it is not directly related to the nursing field, as well as qualifications. If you worked in a job that indicates your ability to relate with customers or clients while pursuing your nursing credentials, you may get the most out of a combination resume template. Even if you rely on one of our new nurse resume templates, it is a good idea to be aware of which information employers expect to find in each of the major resume sections. Here are a few pointers for making sure that each part is complete. Address: Provide your current city and state of residence. You may also include a street or mailing address if you like. Professional Email: The email address you provide should be professional. An address including your name can be ideal. Degrees and Schools: List all of your relevant degrees, the names of the institutions you attended, and your dates of graduation. If you have attended college or nursing school, you may not need to include your high school diploma.